Banking giant Wells Fargo recently fired 5,300 employees, almost 2 percent of its workforce, for a massive fraud scheme. Yet the executive under whose watch the scheme unfolded wasn’t fired. Instead, she’s leaving at the end of the year with a sizable pay out. For years, Carrie Tolstedt, senior executive vice president for community banking, had been breaking one record after another in her strategic objective—selling each customer on more and more banking products. The executive is leaving the company at the end of the year and collecting a total compensation of $124.6 million, Time reported. A lawsuit in 2015 from a Los Angeles City Attorney alleged employees under Tolstedt achieved the record numbers by secretly forcing products on customers. They opened up to two million deposit and credit card accounts without customer authorization. They created email addresses and made up pin codes to issue unauthorized debit cards. Employees collected bonuses for meeting sales targets—and customers were unknowingly charged at least $2.5 million in fees for products they didn’t authorize. 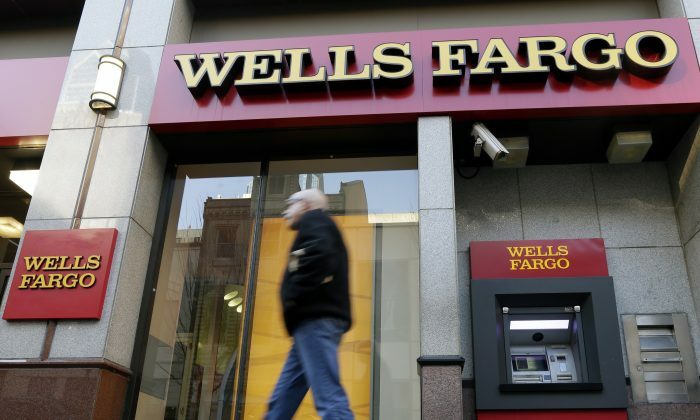 On Sept. 8, Wells Fargo was slapped with a $185 million fine for the scheme, the Consumer Financial Protection Bureau announced. It was the largest fine in the agency’s short history, but a mere slap on the wrist for the bank, which boasted a $5.5 billion profit in the first 2016 quarter alone. Federal prosecutors from Manhattan and San Francisco have now subpoenaed the bank, seeking information on the scheme, The Wall Street Journal reported. Cross-selling has been a centerpiece of Wells Fargo’s strategy. And for good reason. For example, a customer with just one banking product generally only stays with a bank for 18 months, according to Bank Intelligence Solutions from Fiserv. Selling the customer just one more banking product extends the relationship to four years. Wells Fargo was selling customers an average of almost six banking products, Forbes’s Halah Touryalai wrote in 2012, saying the company “does it better than anyone.” Other banks were trying to emulate Wells Fargo’s approach, The Wall Street Journal reported in 2011. Under Tolstedt, the company’s proxy statements indicate that cross-sell ratios were breaking records every year between 2010–2013 and remained strong in 2014. Cross-selling was also stated among the reasons for Tolstedt’s bonuses that totaled almost $7 million over the five years (on top of her $1.7 million salary and more than $5 million a year in equity incentives). Letting Tolstedt leave as if nothing happened may help Wells Fargo from drawing attention to the scandal. On the other hand, customers may interpret it as a weak commitment to accountability.